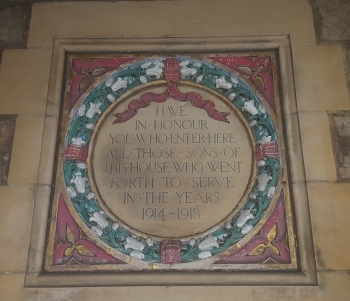 A small part of the college war memorial. First submitted Sunday, 11 November 2018 at 15:46:36 by Simon A Bond. Sent for publication in The Ringing World on Thursday, 15 November 2018 at 23:20:53, and printed in issue 5614.